We had so much fun creating these amazing colorful icicles over the weekend. It took a bit of effort/patience to get them to form, but the results were totally worth it! The weather dipped really cold making it perfect for building icicles. We started by freezing colorful ice blocks the night before, and building a little colorful castle on a cookie sheet. We used a ladder and a broom handle as our structure, nothing fancy. We made a very small hole in the bottom of the pop bottle and threaded string through it. The bottle was placed on the highest rung of the ladder. A single string came down from the pop bottle to the broom handle. It then branched into 5 strings making a tent shape that we stuck to different areas of the ice castle. You can use a syringe of water to help freeze the string to the ice. Make sure to wet the sting with water before bringing it outside, this will help guide the water down it. We continued to add colored water to the pop bottle about every 10 mins. Just make sure that the water in the bottle does not freeze. We also found that if we used to hot of water, it would melt the icicles that had already formed. You might have to play with the temp to get what works best for you. It was fun to change up the colors of the water every so often and see the colorful layers form. As cold as it was, the kids enjoyed playing outside and peeking in on the icicle progression during trips down the hill. They thought the process was cool, but a little slow to sit and watch. However, they loved when a new color was added, because the results were pretty immediate. I love all the layers and depth of color! This might be one of my favorite experiments that we have done so far. We stared building our structure in the morning and a added our last layer of color just before supper. It took almost a full day to get these results but it was totally worth it. A friend made a fun time lapsed video of the process. You will see the most dramatic results at the end of the video, so make sure you stick it out. I love when the yellow and green layers are added! Click on the red links to find more great Kids Winter Ideas and follow my Winter Pinterest Board for more inspiring winter ideas from around the web. 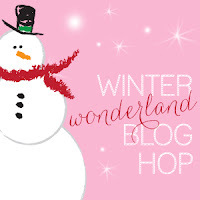 I joined in on the Winter Wonderland Blog Hop today. You will want to click on the button below to take you to the landing page to scroll through a list of the other creative blogs participating. Make sure you check it out for more great tips, tricks and ideas on how to make winter exciting for our kiddos! Posted in Experiments, Holidays, take joy in Winter and tagged Experiments, Kid Projects, Painting, Rainbow, Snow, Watercolors, Winter Activities. Thanks so much! We had so much fun creating them. Ok, this is seriouly super cool! I hope we finally get some freezing temps this winter so we can try this!! I hope you get a little cold snap to try this out. It is totally worth the time it take to form them. You could sacrifice a little freezer room and see if that works:) Although it would have to be on a smaller scale. Wow! That is so cool (ha!) We might just have to give this a try! Oh WOW! This is pure genius! One of the prettiest experiments I’ve ever seen! Way to go, Tammy! Jacki, you made my day! I would totally agree, they were beautiful! Beautiful! We may have to try this; I have been trying to think of a good way to make icicles! I’d love for you to link this up to Mom’s Library! Ashley, Thanks! I just liked up. I would love to see pictures of your icicle experiment when you create yours! Aleacia, Thanks for sharing. I love your blog by the way! This is amazing and beautiful! Thanks so much for sharing it!! Thanks for stopping by. We had so much fun creating them. WOW!! I love, love , love it. Very creative and fun at the same time. We are having temps in the teens tonight so we just made fruit rainbow ice blocks. My 4 y/o was so excited putting it together. Pinned this. Catherine, I love how beautiful ice looks when colored. I can’t wait to see your post. Thanks for sharing. These are stunningly beautiful. It reminds me of doing sugar work back in my pastry school days. I wish it got cold enough here to try this, but it’s fun just looking at the pictures. Jessica, thanks for stopping by:) By the way I love your post on “Big Engine” play! unfortunately this didn’t work for us last night. we must’ve done something wrong. yours looks beautiful though! ..apparently the temp. was higher last night than i thought it was…will hafta double check next time we try it!! What a fun experiment! These are so beautiful! So cool! What a great idea to use the weather as a learning opportunity. Thanks for sharing at Mom’s Library! Thanks for the feature:) We had so much fun making them. Tricia, thanks for featuring and pinning! I really appreciate it. Wow, that is really cool! We don’t get weather cold enough to do this, but I’m sure your kids had a blast with this. Hi! This is just gorgeous!! We will be featuring your post on our Share It Saturday link up party tomorrow. http://www.sugaraunts.com. Thanks for sharing with us and we hope to see your fabulous ideas again!! This is so cool! We live in Alaska and there are times when it’s too cold for the kids to be out for long periods of time. This will be great fun for them in the dead of winter. I’m so excited to try it this winter. What is the purpose of the colored ice “castle” part on the bottom? Did the color from there travel UP the strings? Or did the color on the icicles just come from the soda bottle? this is so amazing! I love this! I’ve never thought of anything like this! Wouldn’t it be cool to pair the rope with an LED light rope? Would it be safe? those are waterproof, right? Then the kiddos could see the light transform the icicles. ooooh so pretty. It doesn’t get cold enough here, but I would love to try it in the freezer. Thanks for sharing. I would also like to know if the ice castle was for fun. I know you used it to hold the string by freezing them together. Is there another purpose? There was no real purpose for the ice castle, minus the kids wanted to add them. You could totally do this project with out using them. I love this! I don’t live where it’s cold enough to do this kind of thing in the winter (except for a rare super-cold snap now and then), but we get lots of questions on the Hip Homeschool Moms site about cold weather activities for bored kiddos. I’ll be happy to share your article! Also, we’d love for you to link up with us on Tuesdays for our Hip Homeschool Hop! Wow, Looks really cool. I haven’t seen any thing like this before. Great stuff!